Christen Wood, unit process manager for the Northeast Ohio Regional Sewer District (Cleveland), won the Water Environment Federation (WEF; Alexandria, Va.) Sound Off for Clean Water Song Contest with her song, “We Treat the Water (Right).” Photo courtesy of Northeast Ohio Regional Sewer District. As the operators, engineers, and scientists on the front-lines of the fight for clean water, Water Environment Federation (WEF; Alexandria, Va.) members know that inspiration can strike at any moment. For Christen Wood, the winner of WEF’s Sound Off for Clean Water Song Contest, it struck while she was putting away dishes. WEF launched the contest in August. Members were asked to write a song reflecting on WEF’s focus on protecting public health and the environment. 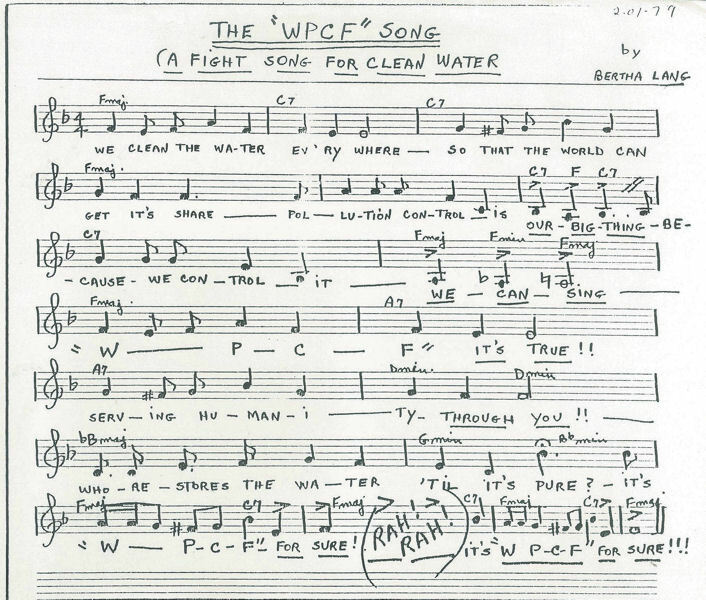 The competition was inspired by “The WPCF Song: A Fight Song for Clean Water,” the only known WEF song penned by Bertha Lang in 1979. After learning about the competition, Wood, a unit process manager at the Northeast Ohio Regional Sewer District (NEORSD; Cleveland), knew she wanted to enter. Northeast Ohio Regional Sewer District’s communications team developed a music video for the new WEF fight song. Photo courtesy of Northeast Ohio Regional Sewer District. Once Wood decided on music and lyrics, she entrusted the song to NEORSD’s communications team, who produced a music video in a single day. 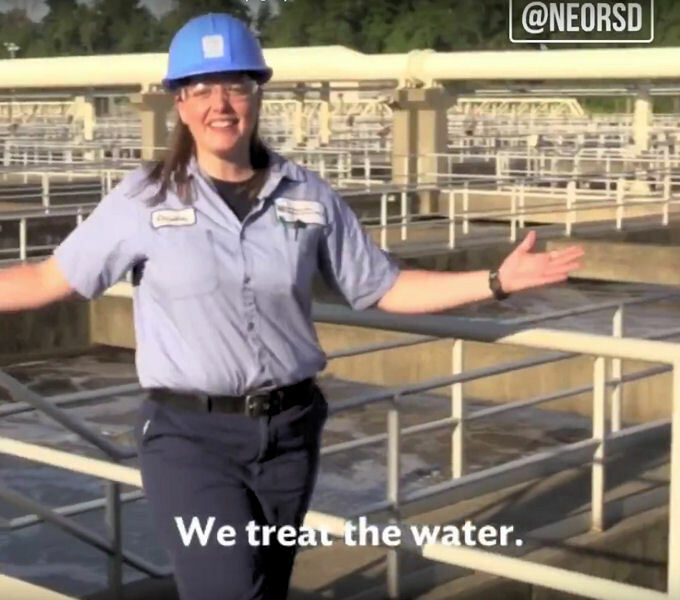 The quick turnaround was not out of the ordinary for the team, which releases videos combining entertainment and responsible water stewardship messaging regularly on the NEORSD YouTube channel. Creating the music video involved combining footage from previous productions – and since Wood features prominently in many of those videos, making her the star was not difficult. Wood (left) and many of her coworkers, including another operator, Ryan Melton (right), are featured in the music video. Photo courtesy of Northeast Ohio Regional Sewer District. While “We Treat the Water (Right)” was Wood’s first original song, her interest in music spans decades. Before deciding on a career in water, middle-school-aged Wood was set on a career in show business, and was an active participant in her school’s choir and band, she said. Most of her previous songwriting has involved adding a wastewater-themed twist to already popular songs – for example, rewriting Drake’s “Started from the Bottom” to educate viewers about how pumps work. In line with her new status as one of the wastewater world’s top performing artists, Wood performed live during Jammin’ 4 Water at WEFTEC 2017. The annual, open-mic concert event allows water professionals to show off their musical chops while fundraising for water charities. Despite a healthy dose of stage fright, Wood said she was “absolutely 100% in” when asked to perform. 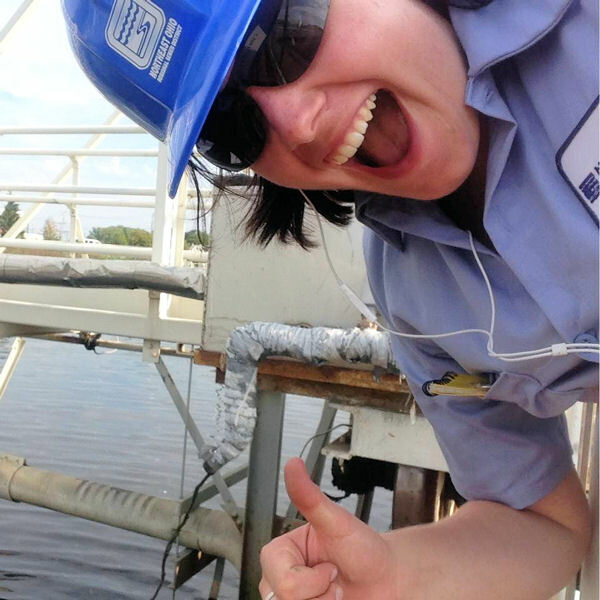 Since entering the water sector, Wood has worked as a laboratory analyst, operator, and unit process manager. Photo courtesy of Wood. In addition to laughs and smiles, Wood hopes her song inspires viewers to pay more attention to the crucial work water professionals perform every day. 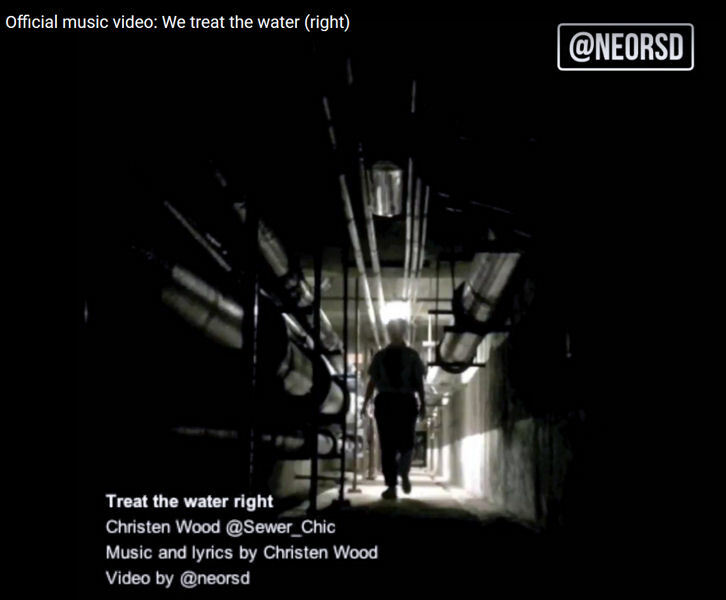 “We Treat the Water (Right)” has been chosen as WEF’s new official fight song. Keep up with Christen Wood on Twitter by following @Sewer_chic, and with NEORSD at @neorsd.